The action sequel comes to select UK cinemas August 4th. 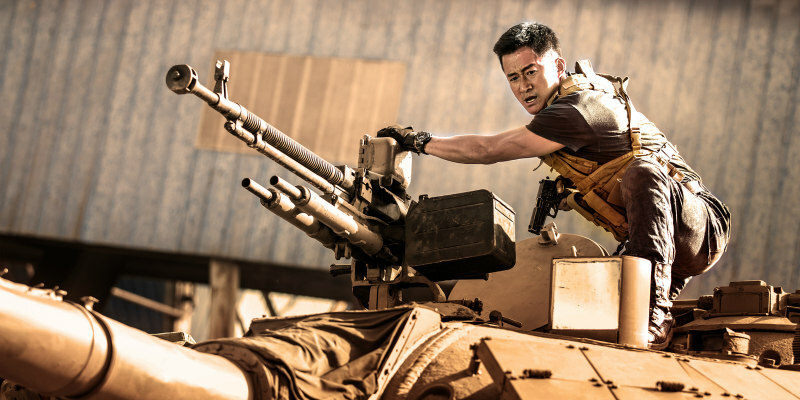 Cine Asia have been bringing Asian box office hits to UK audiences, and the latest is action sequel Wolf Warrior 2, which plays in select UK cinemas from August 4th. Directed by and starring Wu Jing, with a supporting turn by cult US star Frank Grillo, the film features stunt work by the team responsible for such Hollywood hits as John Wick, Atomic Blonde and Captain America: Civil War, with action co-ordination from Jack Wong (Operation Mekong). China's deadliest Special Forces operative, known as the Wolf Warrior (Wu Jing – Call of Heroes, Kill Zone), hopes to settle into a quiet life by the sea. But after he crosses paths with a ruthless band of mercenaries, overseen by a volatile and sadistic leader (Frank Grillo - Warrior, Captain America: Civil War), he must reaffirm his duty as a soldier to put an end to the terrorizing of innocent civilians. Fists, bullets, tanks and missiles will fly in this tour-de-force of bravura action filmmaking, all culminating in a climactic battle between the highly skilled Wolf Warrior, and the brutal mercenary leader.